My background as a software engineer for AT&T Bell Laboratories has led me to be interested in designing and researching effective learning environments for STEM disciplines. Within that domain, I’ve also done significant work related to recruitment and retention of women and underrepresented minorities in STEM fields. Understanding the Development of Meta-cognitive Skills in a Problem-based Learning Undergraduate Engineering Program (NSF EHR# 1504363). This is a project I’m currently working on in a collaboration with the Iron Range Engineering program. We are studying how metacognition (with an emphasis on self-directed learning) skills develop in students as they progress through the innovative problem-based Iron Range Engineering program. Some preliminary results are shown in this poster. Humans have always worked together to build on each other’s strengths. Collaborative knowledge building tools used in online settings have a great deal of potential for both professional and educational settings. I’m very interested in researching the effectiveness of these online knowledge building tools and instructional strategies on work performance and learning outcomes. Here are a couple of current projects. Supporting Collaboration in Engineering Education (SCEE, NSF 1044297). 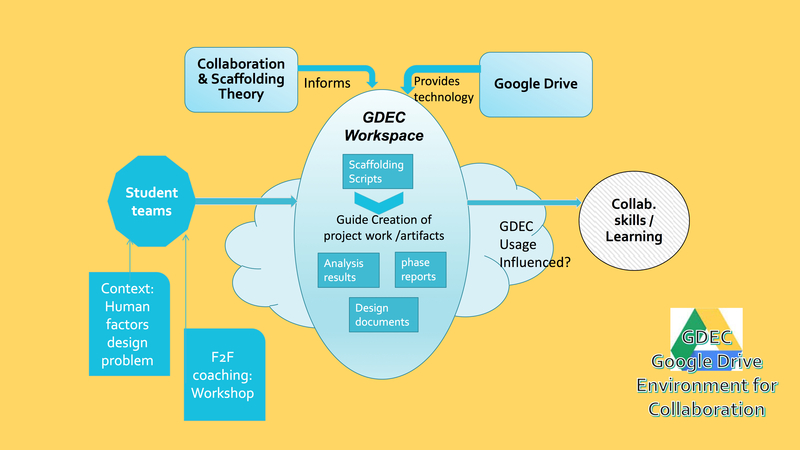 In this project, we used “off the shelf” cloud tools paired with scaffolding and scripting pedagogical strategies to create an online environment (GDEC) where students working on engineering design projects could collaborate with one another asynchronously, or synchronously while working in different locations. Supporting Collaborative Inquiry Labs (SCIL). Hands on labs are an important part of science learning. Creating meaningful hands on lab experiences for students studying at a distance has so far been a challenge. 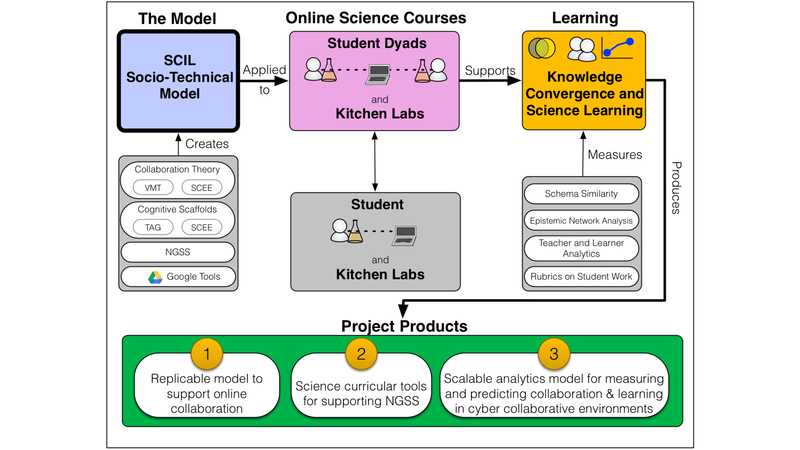 SCIL is an online environment where students at a distance from one another can work in lab pairs to complete meaningful science hands on lab activities. or learning more about these areas of interest. Marra, R., Tsai, C., Bogue, B., Pytel, J. (2015). Alternative Pathways To Engineering Success –Using Academic And Social Integration To Understand Two-Year Engineering Student Success. American Journal of Engineering Education, 6 (2), 69 – 83. Howland, J., Jonassen, D. Marra, R.M. (2012). Meaningful Learning With Technology, 4th, Upper Saddle River, NJ: Merrill / Prentice Hall. Marra, R.M., Rodgers, K., Shen, D., Bogue, B. (2012). Leaving Engineering: A Multi-Year Single Institution Study. Journal of Engineering Education, 101(1), 6-27. Marra, R. (2006). “A Review of Research Methods for Assessing Content of Online Discussion Forums”. Journal of Interactive Learning Research, 17(3),243 – 267. Marra, R.M., Palmer, B., & Litzinger, T.A. (2000), “The effects of a first-year engineering design course on student intellectual development as measured by the Perry scheme”, Journal of Engineering Education, 89(1), 39-46. NSF IUSE # 1504363 Engaged Student Learning Exploration Project: Understanding the Development of Metacognitive Skills in a Problem-based Learning Undergraduate Engineering Program (09/2015 – 2017) $250,000. PI R. Marra. “Supporting Collaboration in Engineering Education (SCEE)”. PI: D. Jonassen, CO-PI – R. Marra. (NSF 1044297). Start date 06/2011. “Prototyping the Engineer of 2020: A 360-Degree Study of Effective Education”. PI: L. Lattuca. CO-PIs: R. Marra, A. McKenna, B. Palmer, P. Terenzini. National Science Foundation Division of Undergraduate Education. Award # DUE 0618712 ,09 /06 – 08/10. “Assessing Women in Student Environments (AWISE) – Moving Assessment of Women Studying Engineering into the Classroom”. PI: Rose Marra. Co-PIs: R. Pangborn, B. Bogue, C. Lissenden, L. Pauley. Total: 500,000 for 24 months. National Science Foundation Research on Gender Equity. Award # HRD-0607081. Click here for an ASEE AWISE paper. “Developing Exportable Assessment Instruments and Models for Women In Engineering Programs” (10/1/01 – 9/30/04) Marra, R.M. (PI). ; Bogue, .B. (Penn State, CO-PI). National Science Foundation Award # HRD-0120642 for $896755. Click here for an article about this project.